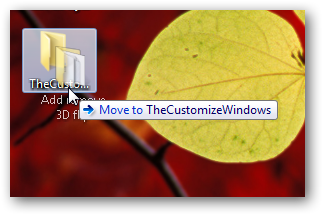 There are lot of things those can be done by using the mouse dragging function under Windows 7. 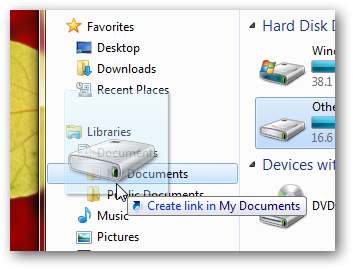 Here is a brief tutorial for using the mouse drag function in Windows 7. The major advantages are, you will not be prompted to confirm the deletion of the file and it is convenient. Beside the basic move functions those can can be done in similar way that we have shown you for Desktop; some special things can be done too. Many thanks to MVP Mr. Ramesh Kumar for adding more tips for our readers. 1. If we hold SHIFT key while doing Drag and Drop, we get reversed actions; like, while we are dragging some file or folder content to move them from one folder to other; in this case if you just hold SHIFT key and it will do copy the content instead of MOVE action. 2. 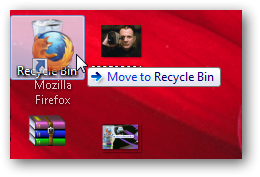 Similarly, while dragging some file or folder to Recycle Bin if you hold SHIFT key, it will delete data permanently instead of moving those content to Recycle Bin. This Article Has Been Shared 8798 Times! Windows 7 Right Click Menu Tips,Tricks and Tutorials those has been published within The Customize Windows till date is listed here along with description. Cite this article as: Abhishek Ghosh, "Things you can do by mouse dragging in Windows 7," in The Customize Windows, March 9, 2011, April 18, 2019, https://thecustomizewindows.com/2011/03/things-you-can-do-by-mouse-dragging-in-windows-7/.